Fun - guy, fungi, get it? hahahaha. 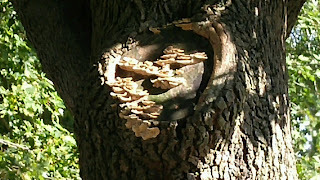 This is growing on my Sweetgum tree in the front yard. 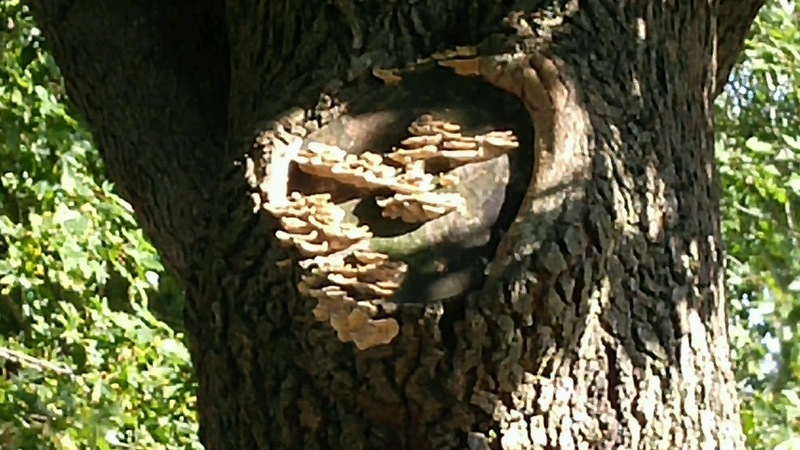 The fungi are growing on an area where a large branch was cut off a few years ago. Hanna used to love sitting in the branches of that tree. She would climb up there and read a book for hours.